How To Prep Your Skin For Foundation! I think everyone has trouble with foundation sometimes! Most of the time it has nothing to do with the foundation you are actually using. The problem could be with the products you aren't using or the things you aren't doing! Here are all the things you need to do to make your foundation go on smoother and look better than ever! Okay so you are not happy with how your foundation is lasting throughout the day? Or maybe you just hate how it looks on your skin! These tips and tricks are very easy and simple! Maybe you have heard of al of this before! I just hope to drill into you how important all of these steps are! 1: Always wash your face! Everyday! Twice a day if you feel the need to or if your skin is better when you clean it twice a day! 2: Moisturize! This is the most important step. I am not kidding. Even if you only wash your face once a day, please moisturize twice a day. It is so important for your skins texture! If your skin is nice and smooth your foundation is much more likely to go on smoother and last longer. I know so many people that completely skip this step! Please always use moisturizer! You can buy heaps of cheap amazing moisturizers. Believe me they are worth it. 3: Make sure you have a foundation for your skin type! If you have really oily skin you may not want a foundation that is going to give you a super dewy finish! If you have dry skin you may not want a matte finish! Test out a few different foundations before purchasing one! I highly suggest the Wake Me Up Foundation from Rimmel this has never failed to impress me. If you are willing to spend a little more money the L'oreal True Match foundation is stunning! 4: Before you actually apply this foundation use a primer! If you have a nicely moisturized face this step may not always be necessary. However, it does help to make sure your foundation goes on nicely and lasts longer! Be careful with primer though, I once tried a primer that just made my foundation slide right off my face it was that siliconey! 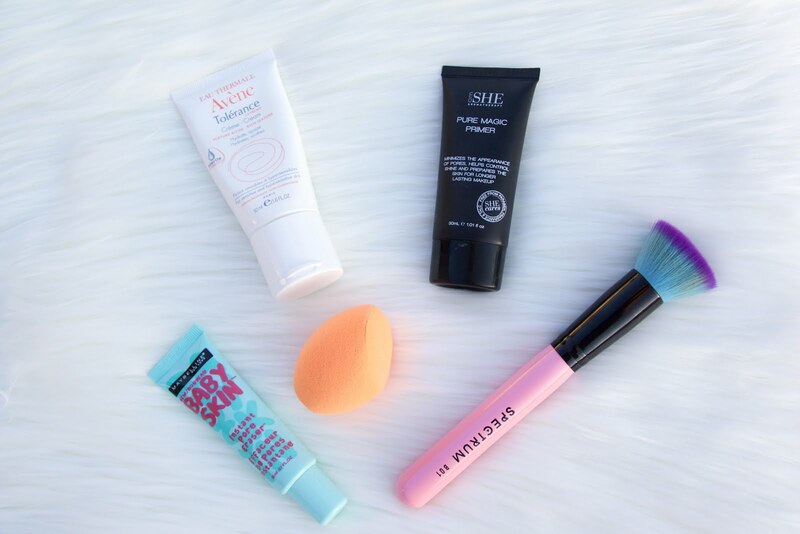 5: Have a proper tool to apply your foundation with! This does not mean you have to spend $40 on a foundation brush! There are many cheaper options. When I first started using foundation I used an $8 elf brush that worked wonders! If you are willing to spend a little more I suggest getting a blending sponge. The one from Real Techniques is amazing or the Beauty Blender if you are willing to spend some more. 6: Apply your foundation! This will be so much easier once you have done everything above! You will see a difference in your makeup and how it applies and lasts. You can also set your foundation with a powder if you feel it would be beneficial. I hoped these tips helped someone. I know these are very simple and you have probably heard all of these before.